Fluence allows to store, query, manage and monetize encrypted structured data, securing it with the power of blockchain technologies. Their goal is to become a go-to database for decentralized Internet applications. We live in a world of big data. Digitalization of life has brought convenience to everyday processes however data tracking human’s every move and step is stored somewhere in the private cloud. Ubiquitous data tracking raises concerns about the safety of sensitive data, which has led to data protection laws and government regulations. However there have been data leaks across many industries, centralized data storage is under siege. Modern AI algorithms and technologies demand considerable amounts of data to solve problems, draw insight and optimize economics. This requires constant data exchange and aggregation from various sources, creating the perfect opportunity for data breaches to occur. 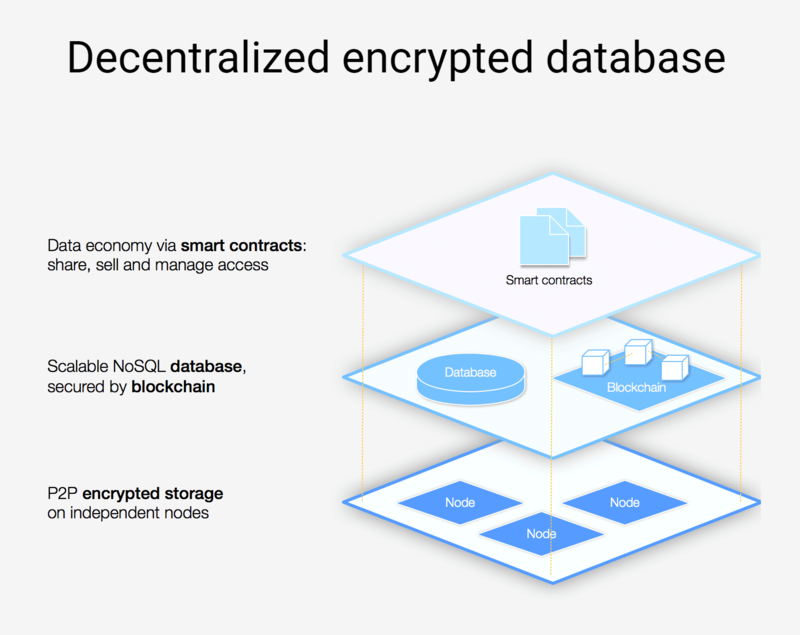 It is possible to create a decentralized database that allows encrypted storage, data sharing and exchange through blockchain technology with guaranteed privacy. Decentralization allows replication of data, permanent retrievability and cost reduction by design. It unlocks many data markets and use cases, where data contributions are rewarded by unbiased smart contract with all providers. For companies and researchers, it breaks down barriers to creating value on top of data. Fluence consists of two essential parts: decentralized database and open data market. 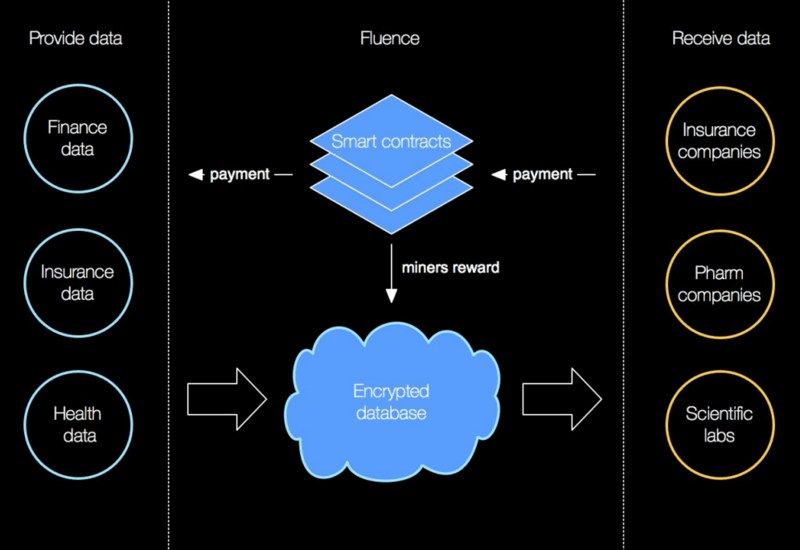 To create decentralized, fault-tolerant, censorship resistant database for any structured data, Fluence builds a blockchain enabled ecosystem where storage owners are incentivized for renting their capacities to data owners. Fault​ ​tolerance​ ​and​ ​censorship​ ​resistance​. Due to its decentralized nature, Fluence guarantees maximum uptime. It automatically balances data replication to keep all data online at any moment. Privacy​. Data is split into chunks, encrypted and stored on different nodes controlled by various parties. There is no way for node owners to spy on data or steal it until data owners disclose the private key. Low​ ​cost​. Utilization of currently unused storage space brings oceans of capacities to market, decreasing the price for storage. Fluence gives hardware owners the opportunity to monetize their services, similar to Bitcoin. Access​ ​management​. Fluence has a flexible permissions management model based on proxy re-encryption technology. It allows meeting compliance with HIPAA, GDPR, HITECH, PCI and other regulations. The cost of storage and transactions will be defined by the data marketplace. Fluence creates an Open Data Market. Using Fluence’s flexible permission management model, data owners can grant permissions for any amounts of their data to other parties. Fluence provides easy to use web-based solution for uploading data, managing datasets, sharing permissions and/or selling data. Anyone can publish datasets meta-information, search for available data and trade. Resulting revenue is shared between researchers, people who provided data and miners where data is securely being stored. All parties benefit and monetise their services through Fluence. Fluence ecosystem is based on two tokens: tradable and functional. The Fluence (FLU​) token is tradable and is used to rent Fluence network resources. Fluence Functional token​ ​(FFT​) is the internal token that is needed to isolate and manage storage cost volatility. FLU​ is available for any transfer operations, tradable on stock exchanges and aims to represent Fluence network liquidity. Fluence Functional Token FFT​ token is aimed to maintain operations inside Fluence network. It is issued on custom internal Fluence blockchain and is being used as a reward for nodes that provide storage and perform database operations. FFT​ is re-issuable and non-transferrable. 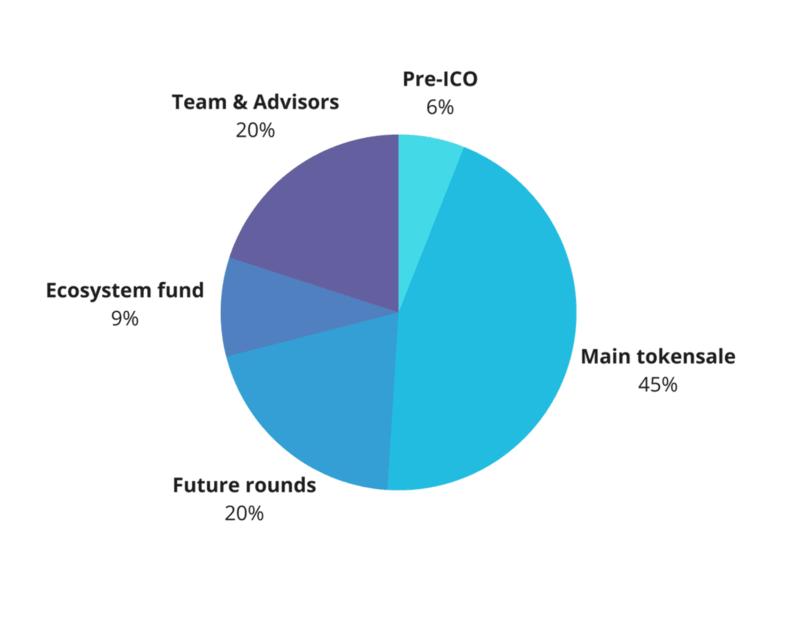 The price of FFT​ token is set by centralized Oracle, managed by Fluence team and should always be about $1, thus isolating internal Fluence market from the volatility of the tradeable token. Node owners can safely set price for renting their capacity in USD without the pain of monitoring exchange rate of FLU​ tokens. The funding raised through the token sale will be used for development purposes, for building storage ecosystem and partnerships.